By using the professional gardening services which we offer you can save yourself the efforts and time as well as maintain your plants in healthy state. Our gardeners are proficient and know how to transform neglected and full of weeds lawns, hedges, yards and outdoor green areas. 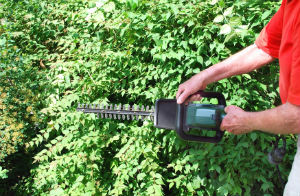 We offer excellent hedge trimming to the Brockley, SE4 residents which is done with the help of suitable tools and equipment. 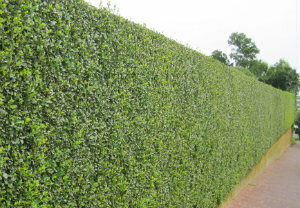 Our gardening experts have what it takes to make your bushes and hedges shaped, dense and pleasant. Our gardeners check the condition of the bushes, identify their species and consult the customer when and how often they should trim them. We offer formative pruning of new and young plants as well as regularly shaping of hedges a few times or once in the year. Our gardeners use sharp pruners, shears, electric hedge trimmers, protective glasses and gloves to do the job effectively and well. Our services guarantee denser, properly developing and healthy shrubs and hedgerows. Get in touch with us to book the hedge trimming which we offer in Brockley and you will have perfectly maintained shrubs. By using our gardening services you will get professional results and your plants will grow healthy and develop properly. Our gardeners can consult you on a number of tasks and can do the work which each homeowner needs help with. Our hedge trimming services are available in SE4 and can be used once and regularly to keep the hedges in your property shaped and dense. We can shape your bushes to be oval and the hedgerows straight if you prefer or in other shape to match your garden style and the whole property.